Installed by the pros at Handyside. * Item will NOT be delivered. You will receive an item voucher in the mail. 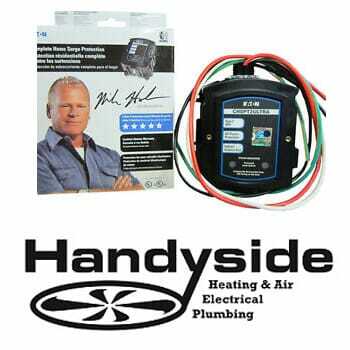 Voucher valid for Eaton Whole Home Surge Protector, installed by Handyside. Call Handyside (717) 938-2521 to make arrangements. Present your item voucher and payment receipt upon redemption. Not redeemable for cash. Sales tax not included and any incurred must be paid to vendor when redeemed. Item will NOT be delivered. You will receive an item voucher in the mail. Voucher valid for Eaton Whole Home Surge Protector, installed by Handyside within service area. Call Handyside (717) 938-2521 to make arrangements. Present your item voucher and payment receipt upon redemption. Not redeemable for cash. Sales tax not included and any incurred must be paid to vendor when redeemed.